Edwin, as part of his own charity’s work, was looking for an epic challenge to participate in and found the Uganda Marathon. Below, he tells us how he tied in his Ugandan adventure to his organisation’s work, took on his first-ever half marathon, went gorilla trekking and more! 1. 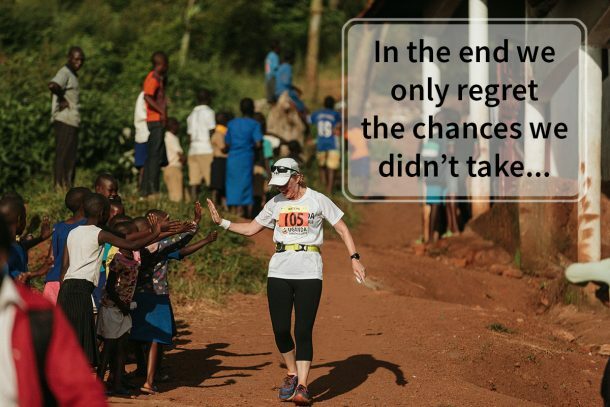 What made you sign up for the Uganda Marathon? Could you tell us about the cause you fundraised for? In 2015 I set up a charity in memory of my father called The Brun Bear Foundation. We resolved to support three categories of causes that we felt my father would approve of and to fundraise for these causes in four distinct ways: through the sale of a series of children’s books I have written and proceeds from associated merchandise and activities; community events; supper clubs and an annual epic challenge. The fourth fundraising activity – the annual epic challenge – means I am always on the look out for, well, epic challenges. And when I learnt about the Uganda Marathon it certainly met the bill! I attended one of Henry’s talks to learn more – and here I met Henry, Julia and not long after Andy. It was clear to me that this was a special group of people, doing special things and I wanted to be part of it. We agreed to split any money raised 50:50 between The Brun Bear Foundation and projects in Uganda. 2. 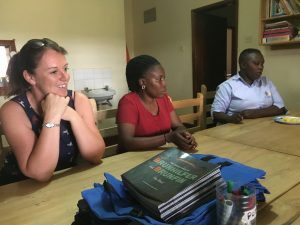 You connected with Anouk who runs the project ‘Knowledge For Children‘ in Uganda. Could you tell us about this experience? When the Uganda International Marathon team learnt about my Foundation and our children’s books they very kindly connected me to Anouk of Dutch charity Knowledge For Children. This was a very generous act and Anouk and her team were magnificent. 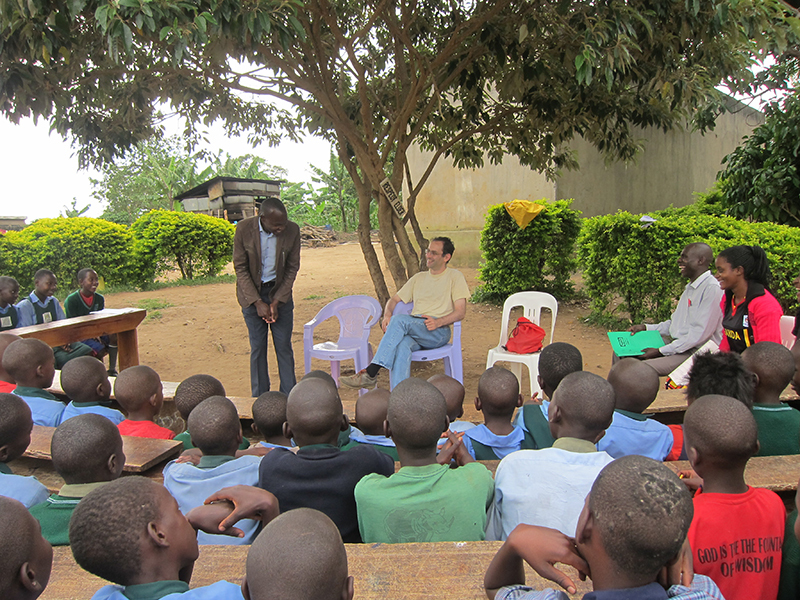 They arranged for me to go on a tour of eight schools across three days and to meet with the children and the staff. They also allowed me to do book readings to children of varying ages and classes. On the third day, I was joined by another runner, Sally. Together we were able to put on a little double act! All-in-all it was a magical, memorable and even moving experience. Happily, we were able to donate copies of our first book and book bags to Knowledge For Children. And we have committed to donate copies of our next book when published too. 3. You participated in our 21K event, your first ever half-marathon! Could you tell us about your experience of Race Day? My trip culminated in Race Day. I opted for the 21K option. The organisation, support and atmosphere was impressive. My time was not! And thank goodness there was some cloud cover on the day! I was pleased to complete the course – but my hat goes off to everyone who took part which means the runners, the organisers, those behind the scenes and of course the wonderful people who lined the route cheering us on and giving every support. 4. Before the 7-Day Adventure, you took part in the Gorilla trekking extension. Could you tell us about the experience and your highlights? The gorilla trekking was a memorable experience. There are three things that stick in the mind. How close you can get to the gorillas; how indifferent they are to your presence and how graceful they are. I knew the gorillas would be strong, I didn’t realise how balletic they were – effortlessly descending canopies and swinging from one to the next. 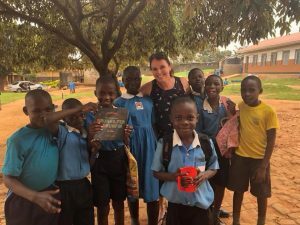 Sally with a group of pupils, after a reading session, holding Edwin’s book! 5. Finally, what was your favourite memory from the 7-days, and how would you sum the week up for someone who hasn’t been? Naturally, there are a lot of good memories. The favourite element is the people I met – whether organising team, participant or local. Since I have returned a number of us have kept in contact – I’ve been invited to birthday parties and some have even been to my charity events! To anyone who is looking for an epic adventure – this will tick all the boxes! If you’d like to read more about Edwin’s charity, you can do so here: www.brunbearfoundation.uk, as well as follow the organisation on Facebook, Twitter and Instagram. Plus, you can also check out his series of books here!